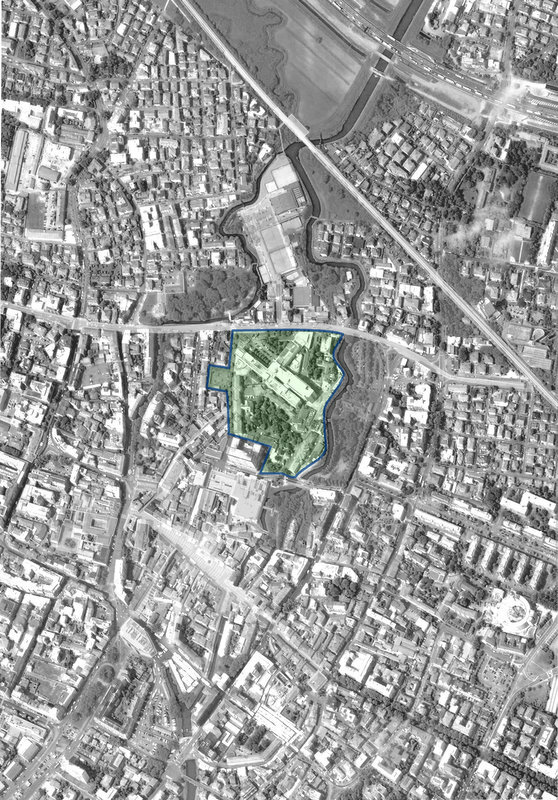 High residential and tertiary density project, while maintaining a prevalent architectural and environmental conservation. 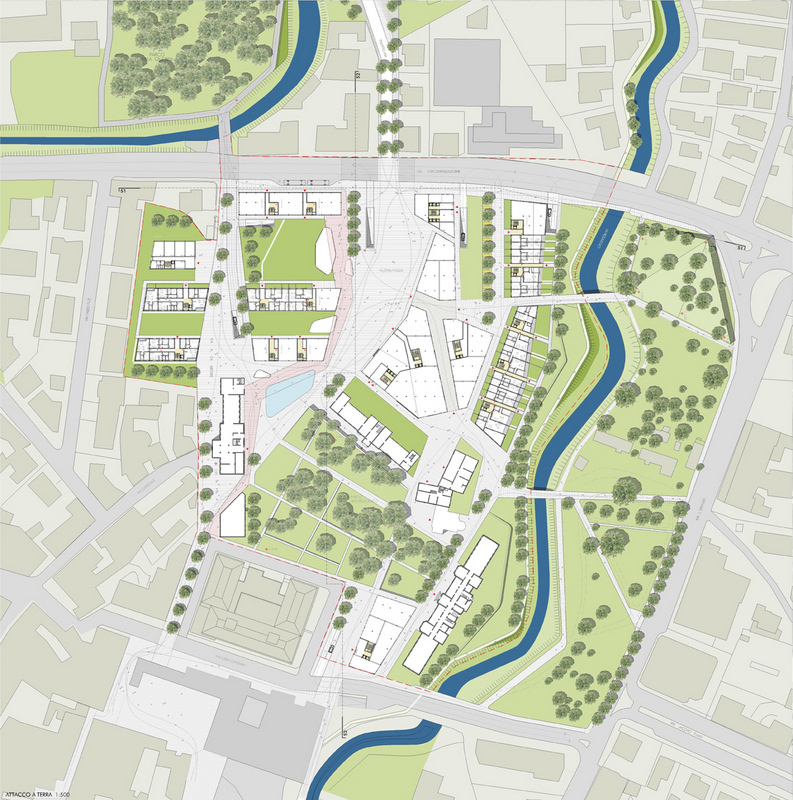 Work on the area of the former Hospital intends to define a central densely populated district of housing and offices located in the west of the city, while maintaining an area where both the architecture and the environment have been preserved, in the east. 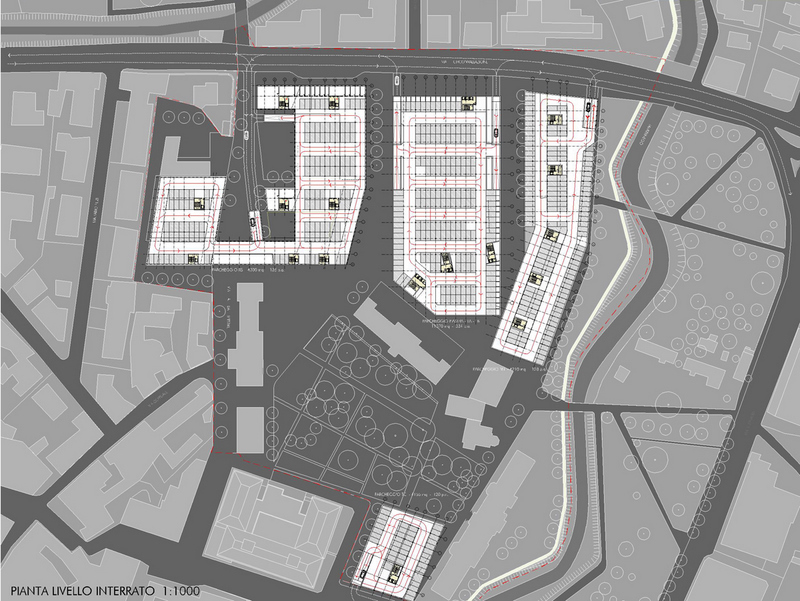 The route that starts from SFMR Olimpia station and crosses via Circonvallazione, helps design a funnel-shaped square which constitutes the core of the project area. The south-facing side of the square is flanked by a portico, which rests on the buildings overlooking the square. 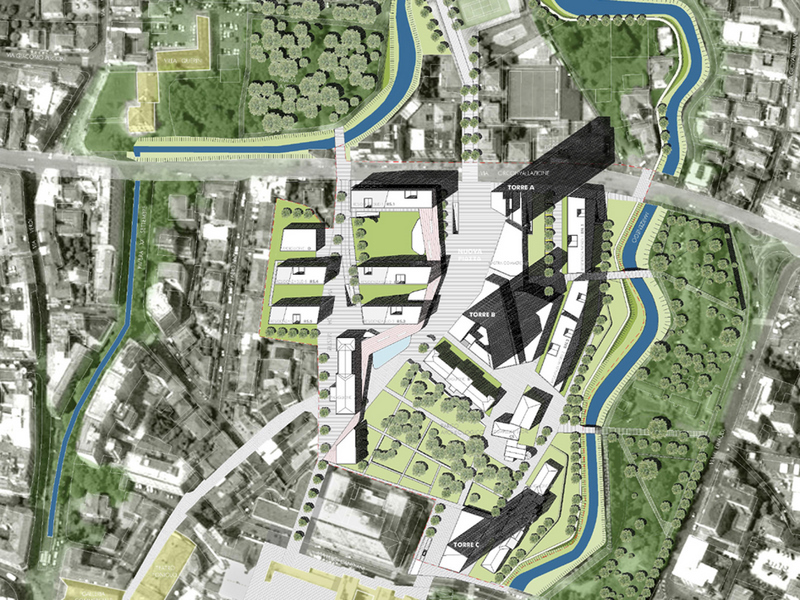 It is covered by a roof varying in width and height that houses retail-shopping areas, bars, and kiosks. 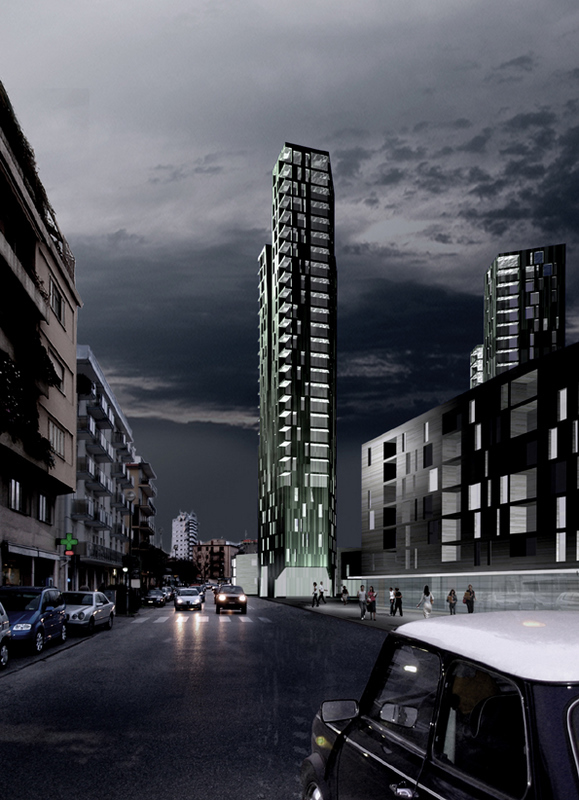 On the north-facing side, adjacent to via Circonvallazione, two high towers define the size of the square. A platform is placed between the two towers containing, on the ground floor, retail-shopping areas arranged around an arcade, and on the upper floor, offices. Moving eastwards from the center of the square, the paths through the portico and the arcade diverge and come alongside the area planted with trees, surrounded by buildings dating from the early 1900s, which will be restored and preserved. 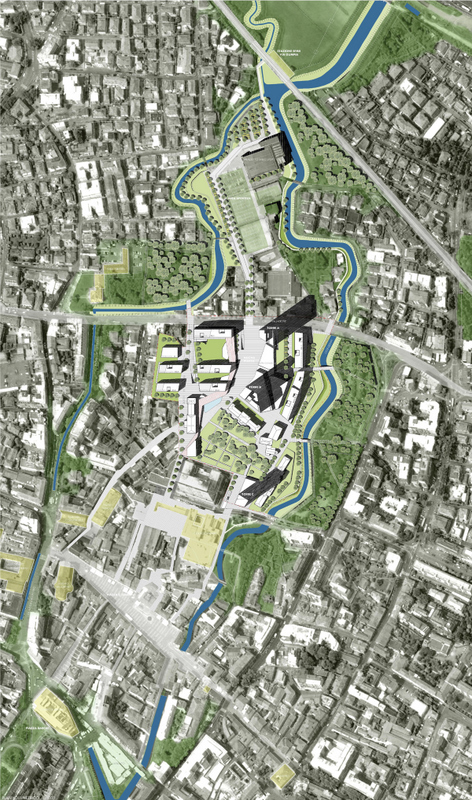 The green park area is surrounded by the low buildings, once the former hospital pavillions and overlooks the “linear park” that will be built along the banks of the river Marzenego. The route situated south of the covered portico ends in proximity to the antiquarium on via Antonio da Mestre; it then proceeds along the tracks of the former via Ospedale and via Barcella and through the portico as far as Piazza Ferretto.